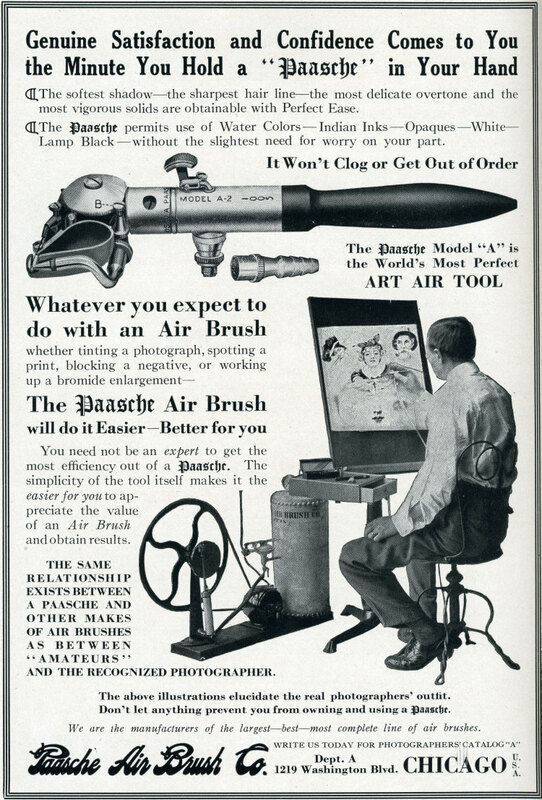 An ad for the Paasche "Model A" from the 1920 book "The Air Brush in Photography" by George F. Stein. It was published by "The Abel Publishing Co." of Cleveland, Ohio. The "Model A" is the forerunner of the "Type AB" turbo that is still made.